Practical Solutions To Complex Challenges | Altometrixs Inc.
Strategic plans became seamless operational plans — consistently delivering business results..
Focus, collaboration and the right business partner will turn ‘what if’ scenarios into business solutions and results. Altometrixs is a boutique biotech, pharmaceutical and medical device consulting company that offers specific targeted areas of expertise to companies looking for a collaborative partner. Altometrixs believes that the best ideas are borne out of working as a high functioning team with their clients, and helps them to identify “practical solutions to complex challenges”. Altometrixs forte and key differentiator is its depth and breadth in all aspects along the planning continuum combined with its operational experience. This combination helps a company to identify issues and opportunities and focus on what it will take to move them to the next level. 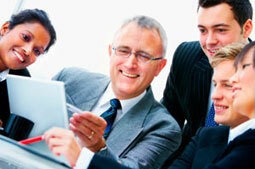 Client ownership of the solutions is a core Altometrixs value. 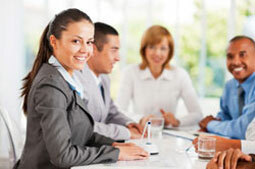 It is an integral part of the business model developing a targeted focus on implementation and execution excellence. 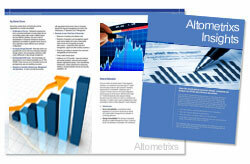 Altometrixs believes this approach realizes the benefits, and sustains solutions. Margins are decreasing and limited resources are continually becoming more scant! Altometrixs strong dual business and operations backgrounds are well suited to find the opportunities, reduce inefficiencies and help the organizational become more effective through targeted strategic and problem solving projects.